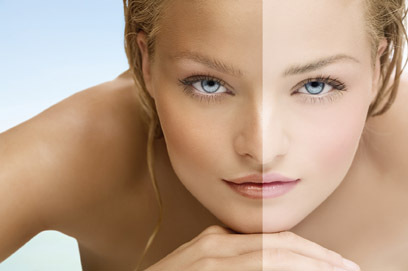 PRASAD Cosmetic Surgery and Medi Spa is pleased to offer you the finest Body Bronzing solution available today. Achieve that perfect glowing tan without having to worry about the skin damage caused by extensive sun exposure. Get that sun-kissed glow in minutes with PRASAD’s Sunless Tanning Solution delivered at the hands of expertly trained professionals. Finally, Eyrthulose is used as a slow-reacting bronzer, very similar to DHA. Eyrthulose enhances the clients color and extends the life of the spray tan. Call PRASAD Medi-Spa today to make your appointment in Garden City, 516-742-4636 or Manhattan, 212-265-8877.